You will need an existing Autohub Account to access information from the Autohub system. 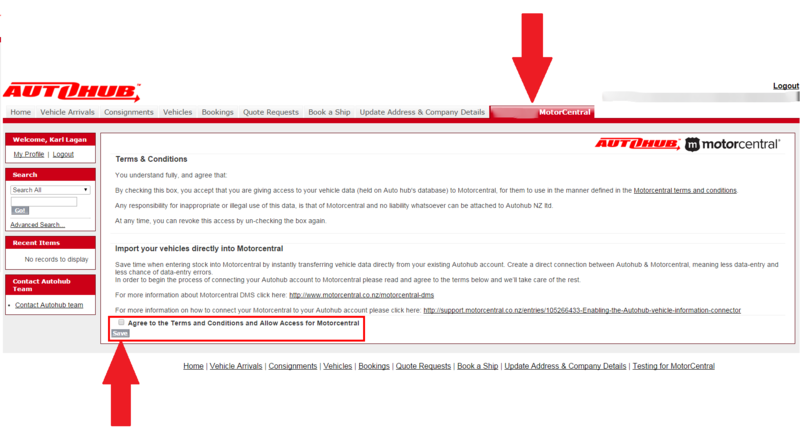 If you are unsure of your account details or need a new account please contact Autohub NZ Support. Now it is possible to download vehicle information from your My Autohub account to Motorcentral. This includes updated shipping information as it becomes available. Import an entire vehicle or only Shipping Information about those vehicles and use that information to update your existing stock. Motorcentral will look for a vehicle with a matching Chassis No and update that vehicles Shipping Information with the latest available from your My Autohub account. Login to your My Autohub account and navigate to the Motorcentral tab located in the main navigation area. Read the terms and conditions on the page and accept by clicking on the checkbox at the bottom and pressing Save. Open Motorcentral and navigate to Tools > Extensions in the main menu. Process new and changed vehicles: Any new vehicle added to your My Autohub or any update to a previously added vehicle will be made available for data transfer. Process new vehicles only: Only new vehicles not already made available for data transfer will be transferable. Any data changed for previously transferred vehicles will be ignored. Process shipping info only: Only transfer shipping information for vehicles already in stock in Motorcentral. Select a vehicle template to use when transferring these vehicles (optional). Always download images: For both newly processed vehicles and/or previously transferred vehicles always download the latest images available from Autohub. Download images with new data only: Transfer images made available by Autohub only at the same time a vehicle is transferred for the first time to Motorcentral. Do not download images: Never download vehicle images from Autohub. To verify your connection is working return to the main Motorcentral screen and select Import Purchased Vehicles from the Quick Entry menu bar. Select Autohub from the supplier list and click Start import. 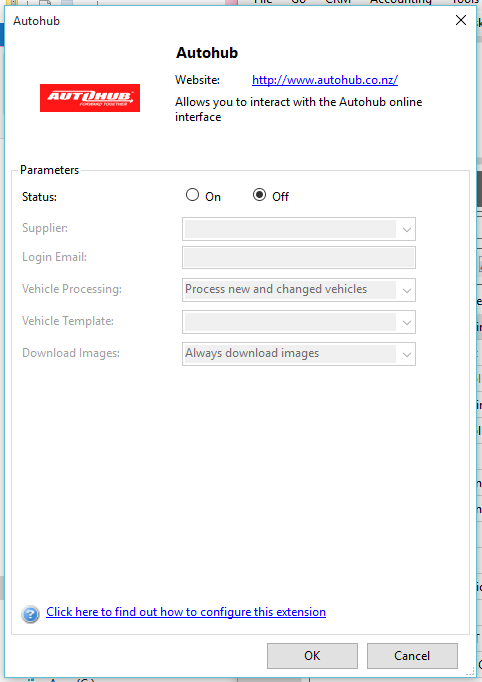 If you have correctly configured the Autohub settings your vehicles from Autohub will then list themselves.